Did we do it? Fall Bucket List! But yes, the dark nights and cozy vibe is now in full swing and it's time to start thinking about saying bye to Pumpkin Spice and hello to Peppermint and Gingerbread everything. If you thought we were excited about Fall, you ain't seen nothing yet. Christmas is our absolute favourite. But before we get ahead of ourselves, we thought it would be fun to look back on our Fall Bucket List and see what we managed to accomplish. Hmm we didn't quite manage the fall outfit in it's entirety, alas no pictures. Although we did get a few new jumpers from work that are nice and soft and perfect for when we go home. We hear it's rather cold over there...yikes, so maybe we can get some cozy winter pictures taken then. See above answer! Like we said, we did a little shopping and have been purchasing a few new pieces, however, as for putting complete 'outfits' together, we have only two words...'Send Help'. :p We have been getting so inspired by all you gorgeous fashion bloggers, but think we need to keep making notes, so stay tuned. We managed to watch a little bit of Harry Potter a few weeks ago while Jen was on Skype, but we didn't make it through the whole movie. We always have too much chatting to do and the time difference can be a bit of a pain! Work picked up in the past month and our weekends have been jam packed with events, so unfortunately we didn't make it to any of the Florida Pumpkin patches. We did indeed get creative and thoroughly enjoyed decking our apartments out with all things Fall. 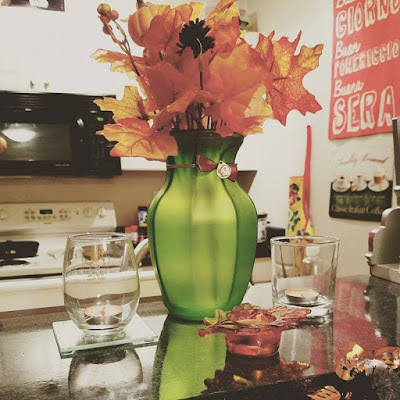 You can see how we got festive in our Fall Decorating episode of Life is Sweet. We got to enjoy many a movie with our favourite Morrison's Vanilla Sugar candles lighting up the room. They seriously smell like heaven and the flicker of the flames always make us feel cozy, happy and snug. 9. Have our friends round to make Fall inspired treats. We are so sad that we didn't get round to doing this. It can be quite tricky to get everyone together when we are all on different schedules but we also know how important it is to make time for friends. We hope to have more baking days soon. This one might have been dreaming slightly too big. It still sounds lovely and we very much wish we would have got the chance to watch the sunset and curl up on the beach, however, like we mentioned above, work really did just get busy this month and we never quite made it for an evening beach stroll. 3 1/2 out of 10!!! Wow, really? We are ashamed! :p This disappointing result has made us even more determined to accomplish all goals on our December bucket lists. Though we know and understand that life, jobs, money and such can get in the way of our ideas and adventures sometimes, we really do love writing lists and having things to aim for. It can often bring you out of your comfort zone, challenge you to try new things and remind you that life is short and we must try to experience all that we can while we are here. 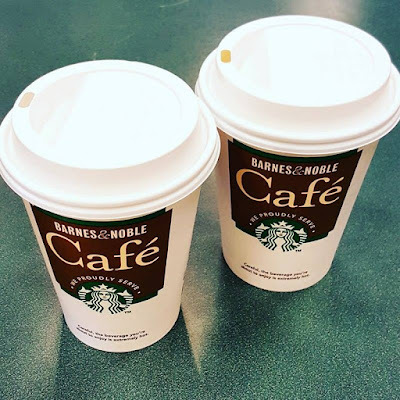 Our December Bucket List is coming a long nicely and we can't wait to share it with you. 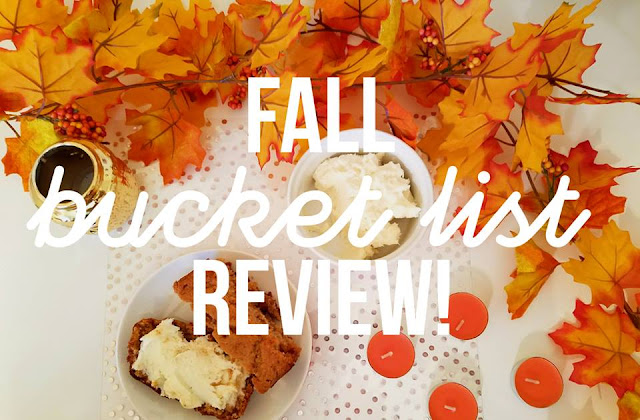 Did you have a Fall Bucket list? Leave you links below, we would love to read them.